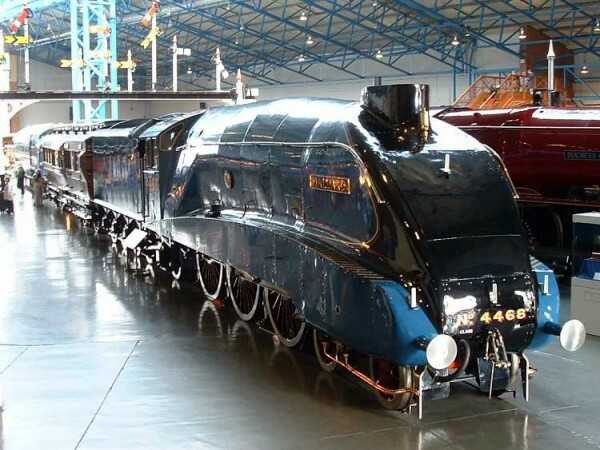 Pride of place at the National Rail Museum in York LNER 4468 Mallard – The world’s fastest steam locomotive. Well, as I am sure many of you will know, our very own British Leyland and – latterly – Leyland Bus Limited, were once heavily involved in rail projects that first started in the early 1970s and continued right up into the late 1980s – not all of them successful. However, back in days when rail travel was romantic and exciting, when train companies were operated by dyed-in-the-wool rail men, and not bus operators running a rail network like bus companies, the only way of reaching the capital or the North at any speed was by rail. Nowhere was this more evident than on England’s fastest railway – the East Coast Mainline (ECML). The third of July marks the 75th Anniversary of the World Speed Record for steam locomotives being set at 126mph by LNER A4 class member 4468 ‘Mallard’ – a record that has never been beaten. 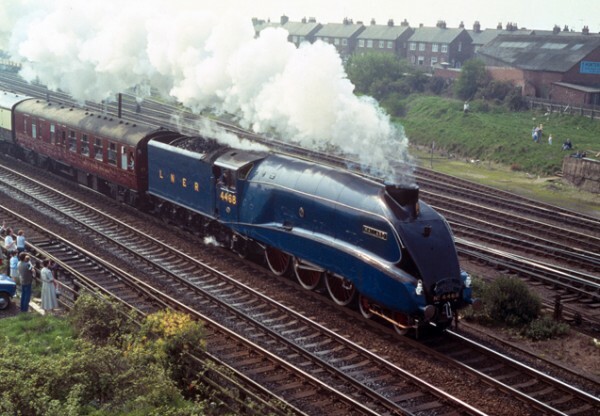 Designed by Herbert ‘Nigel’ Gresley, the A4 pacific locomotive was built between 1935 and 1938 in Doncaster to a unique streamlined design that featured a number of new ideas and novel features. Built specifically to operate non-stop, crack express trains, the A4 was adored by footplate crew and spotters alike. Mallard was number 28 out of a total build of 35 and rolled out of the Doncaster works in March 1938. The locomotive featured some exhaust and airflow modifications new to the later batch of A4s and, after a few months in service and being properly broken in, was earmarked for a record breaking run to beat the World Speed Record for steam locomotives which, at that time, was held by the Germans at 125mph. Armed with six passenger coaches and a test dynamometer car, Mallard set flight on an epic journey heading south on the ECML with time-served maverick Driver Joe Duddington and his trusted Fireman, Tom Bray, on the footplate with LNER traction Inspector Sid Jenkins overseeing them. However, what made it extra special was the fact that this came about in absolute secrecy. Everyone aboard the train was under the impression that this journey was simply a brake-testing exercise – only the three men on the footplate and Sir Nigel Gresley himself knew anything about this. At a point south of Grantham, Jenkins gave Joe the wink and the steam regulator was tickled and the train wound up from 90 to 100mph in no time. Rumour has it that cutlery and crockery rattled and crashed as Mallard gained momentum and euphoria soon came from all the staff on board as they soon realised what was occurring. 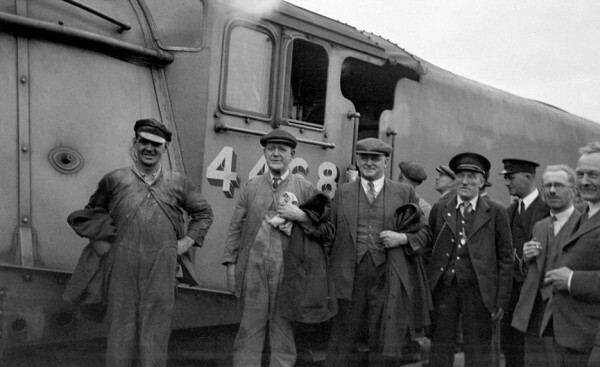 Joe Duddington, a Doncaster-based driver, was a legend among footplate crew in those halcyon glory days. He was a risk taker and could often be insubordinate but his skills were unsurpassed. Always refusing to wear his LNER hat, he opted to adorn his head with a grubby flat cap which he would turn around back to front when flying along at speed. Gresley chose him as he and fireman Bray were the ideal men for the job, both lifelong rail men who would quite happily die at the controls of a steam engine. Mr. Duddington retired after this event aged 67 and his thoughts can be heard by clicking here. After building up speed on the slightly falling gradient of Stoke Bank, Mallard achieved a magical 126mph. Driver Duddington and Inspector Sidney Jenkins were convinced that 130mph had been possible had it not been for a signal check but, after slowing for a points section, it became apparent that the centre connecting rod bearing had failed and proceedings were halted at Peterborough. Mallard was then sent back to Doncaster for rectification and carried on her sterling duties on the ECML until her withdrawal from active service in Spring 1963. However, as with many examples of supreme engineering, the A4 was not without its shortcomings. The centre connecting rod bearing referred to was always a headache for engineering staff. Owing the centre cylinder of this ‘compound’ design being tucked away within the chassis frame, it never received the same airflow and ran hot under fast running and often failed with a destroyed bearing. LNER Engineers thus fitted what can best be described as a stick bomb in the form of a glass capsule filled with aniseed oil – as the temperature of the bearing reached a critical point, the capsule would shatter filling the cab with a pungent aroma. 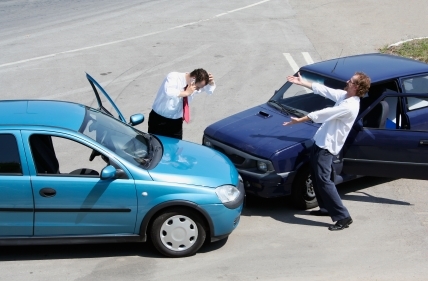 Upon smelling this, the driver would take action by easing off the power – an amazingly simple, yet effective solution. Just after the big four groups of the LMS LNER SR and GWR were nationalised in 1948 to form British Railways, various express locomotives were tested out on other regions to compare economy and set out new future designs. One rival Chief Engineer remarked that the power and coal efficiency bias of the A4 Pacific was so good that ‘we have nothing that can compare to these locomotives‘ – the A4 was not only streamlined outside but every steam passage on the inside was highly polished and featured no right angles to hamper steam flow. To commemorate this anniversary, all six surviving class members – two of which have been specially shipped in from overseas – are featuring in a static display at the National Railway Museum in York then Locomotion at Shildon near Darlington after which a series of ‘Mallard75’ rail tours will take place. For those who have never experienced the above museums, you are really missing out on a slice of important Great British history – and it’s all free too. The Shildon museum also features the prototype Advanced Passenger Train and Deltic with the former being powered by British Leyland gas turbine engines – trust us when we say, it’s a stunning day out! Good article. Small point though; A4s are not ‘compound’ engines, as all three cylinders are high-pressure. 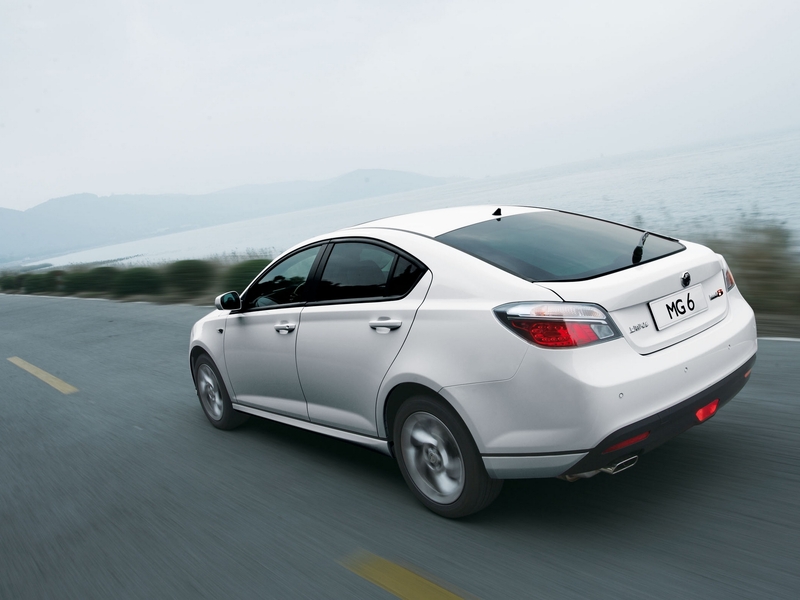 Compound engines have supplementary low-pressure cylinder(s) fed by the exhaust from the high-pressure ones. Without detracting from the great achievement. I wonder how well a Coronation Class from the west coast line would have done against Mallard. My late father always insisted that a “Duchess”. was capable of more than 126mph. Indeed the Coronation Class steam locos where rated at 3300hp. About the same as a Deltic Diesel Locomotive or a first generation AC Electric. Excellent article. I can see a trip up north on the cards soon! AS an American in love with steam engines, I have always admired these wonderful British locomotives. The colors, the power, the sweet smell of steam and coal in the air. I hope one day to see one of them in person, running along the track on some excursion or another. Maybe I’ll be fortunate enough to actually ride in the cab. We’ll see!